Well, it seems that being designated the people's choice for the best picture seen in 2014 is no sure bet for an Oscar. 42% cited American Sniper as their favorite movie of the past year, all other nominated movies getting no more than 12% of the vote. Despite not winning the Oscar, being nominated alongside other wonderful movies such as Birdman,The Imitation Game, The Theory of Everything and Selma, must mitigate the loss somewhat. Many of the nominees for best picture this year tell the story of remarkable individuals who made a great contribution to society, leading the way as soldiers, scientists, and leaders. Stephen Hawking (The Theory of Everything), Alan Turing (The Imitation Game), Martin Luther King Jr. (Selma), and Chris Kyle (American Sniper) were all extraordinary people whose personal stories shaped their lives and their contributions. I guess we live in a world starving for inspiration and cherishing those who made a difference. Surprisingly, the story behind the moral dilemmas and challenges faced by Chris Kyle in American Sniper (directed by Clint Eastwood and wonderfully played by Bradley Cooper) is no real news, yet it is being introduced very authentically through the eyes of a soldier and may be increasingly relevant in the coming years. 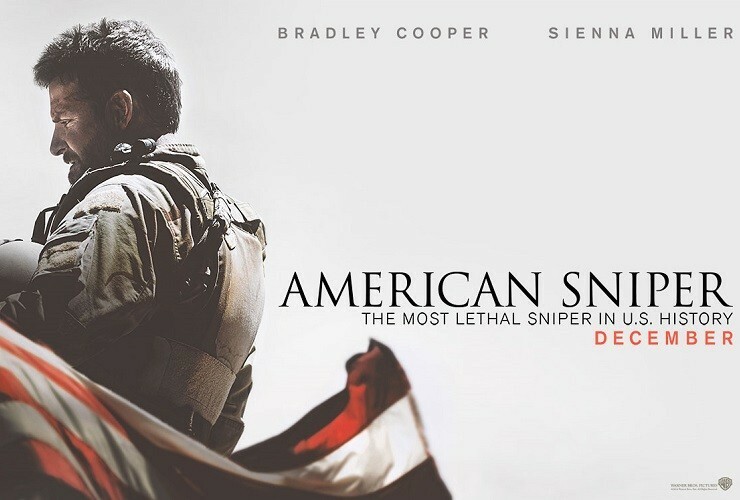 The movie is a biographical drama which tells of an American cowboy who joins the US army, becomes a Navy SEAL sniper, and is sent to Iraq with just one mission: to protect his brothers-in-arms. While faithfully doing his duty, he becomes one of the most skilled snipers in US military history. Rotating back and forth from Iraq through four tours of duty, the stories of his prowess earned him the nickname "Legend." His courage, determination, and fierce loyalty to the mission of saving the lives of his fellow soldiers are displayed alongside the moral questions he faces each time he must decide whether or not to pull the trigger. The values of good versus evil, family versus service, individuals versus society are all turned upside down, raising important moral questions for all of us—as a society and as individuals. This story, troubling and thought-provoking as it is, is not one to turn our back on as, in light of the acts of terror and fundamentalism that are spreading all over the world, it represents one of the biggest challenges of the coming years. It is my hunch that viewers of this movie are more likely to find themselves struggling with similarly daunting thoughts as Chris Kyle than with the scientific challenges faced by Stephen Hawking or Alan Turing and appreciating his heroic acts performed in the name of his fellow soldiers and his country. A movie to see for the hawks as well as the doves.